Bangalore is, no doubt, a popular hub for live music and gigs, with bands of every possible genre playing in the city (more often than you think). However, no amount of hip-hop or rock could get us bored of dancing to the good old Bollywood tracks. 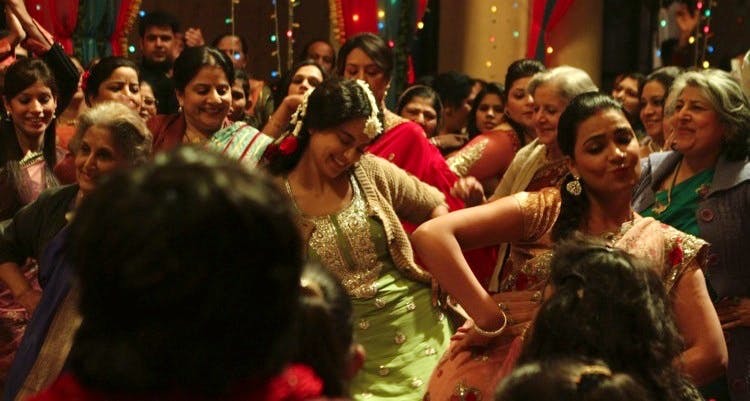 We've picked out some of the best Bolly nights in town, for you to get down and boogie to. This contemporary nightclub with its modern dance floor and décor has desi nights every Friday known as Borderless. What better way to celebrate the arrival of your weekend than by dancing all night (till 1am, actually), to the latest B-town hits, and beats from around the world. True to its name, this shack-like place has a happening Bollywood night every Friday evening. When you’re tired of doing the thumka, sit back and sip on a cocktail or tuck in to their delicious fare, before you get back to the dance floor for a second round, of course. Oh, and if you want to take it up a notch, they have a Punjabi Night every Sunday! Believing that Bollywood Nights are meant to be enjoyed over two days, head to i-Bar on a Friday or Saturday evening to catch DJ Deep Bhamra and DJ Donna playing some of your favourite Hindi dance numbers (We're looking at all you desi girls). On Thursdays, women get free shooters till 10 pm. The Bollywood Night on Saturday is usually themed, so keep a look out on their page for the theme of the week. Every Saturday is high-energy Bollywood blockbuster night at Bling. From the latest songs to hits from early 90s, the music will definitely make you want to get up and do a jhatka or few with your girl squad. Known for its huge dance floor, No Limmits is probably one of the best places to go to when you want to let your hair down and have a night of happy dancing. With Bolly nights on every Wednesday (Mr. Bollywood with DJ Hussain) and alternate Sundays (Desi Sundays), this place could definitely be a great option to welcome the weekend. They might primarily be a performance venue, so they sure know how to play crowd favourites even when it comes to Bollywood hits! Head there after work on Fridays to party into the AM! Club Mirchi Bollywood Nights, which happens every Friday at Le Meredien's nightclub Sugar Factory, is one of the most energy-packed Bolly nights in town. And, if it’s DJ Hassan at the console, you’re definitely going to find it difficult to stop dancing. XU is located in the five-star hotel Leela Palace on Old Airport Road. With high stools along the bar and huge leather chairs paired with minimalist style tables, XU has variety when it comes to interiors. Their Bollywood nights happen on Thursdays and Fridays with free bottomless drinks for women on both nights until 10 pm. So if you've had a bad Thursday (or Friday...or both! ), we suggest heading here to get rid of your woes. Tilt in Koramangala has been around for a while now and is a great place for a big group of friends. Their lit-up walkways will literally make you feel lit (once you've had some drinks, of course). Hosting Bollywood nights on Thursday nights, they have an offer on happy hours till seven in the evening. For all you women, we suggest heading here on Thursday and Wednesday nights (ladies night) for desi daaru. While we mourn over the loss of our beloved Opus in Vasanth Nagar, gear up to turn around and head to another branch in Sarjapur. Red lights and a huge dance floor are great for getting your freak on, especially with some sizzling Bollywood numbers playing in the background. Dancing is no fun without alcohol and so to pamper all the women, they host ladies nights on the same evenings. Be here or be square on Friday nights!